Fleshlight has launched the Quickshot Launch, a new accessory designed to work with its half-size sleeves that delivers a fully-automated experience of up to 250 strokes per minute. In essence, it’s a bit like turning your Quickshot sleeve into a Fleshlight Launch-like experience, but that ‘like’ is an important distinction: there’s no interactive content or device sync options on the Quickshot Launch. Presumably, this is because that functionality tends to be provided through a partnership with Kiiroo, which doesn’t seem to be the case for this device. Nonetheless, the lack of interactive sync won’t bother many people, and the lure of a hands-free experience that works with your existing sleeve will appeal, sadly though, it doesn’t bring the price down a whole lot – it’ll set you back $189.95 currently (it’s around €170 in Europe)… and that doesn’t include a Quickshot sleeve. The Quickshot Launch has four different speeds, and four different stroke lengths that lets you change up the experience as you like. There’s also a smartphone mount on top of the device for convenient viewing while in use, and two handles to provide both stability and a place for the controls. 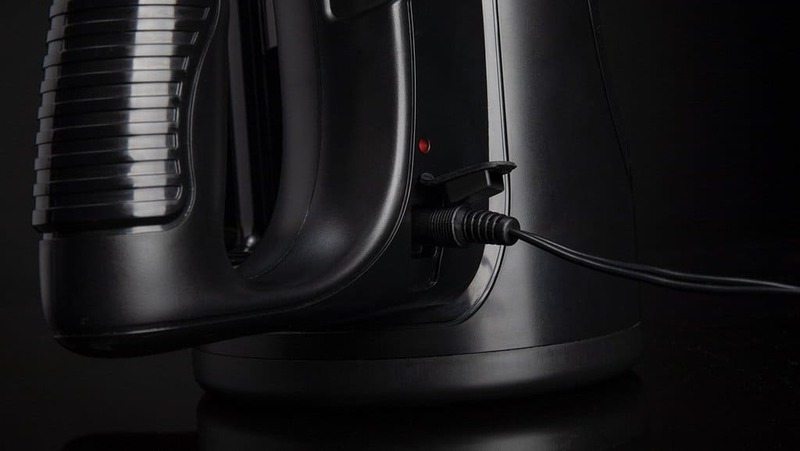 Fleshlight says that the battery will last for up to 60 minutes (this depends on speed used) but that it can also be used while plugged into the wall charging if you just can’t wait to get going. If you don’t own a Quickshot already, Fleshlight is also selling packs that contain a Quickshot sleeve and some lube to get started.